Background Pharmacovigilance, as it is carried out primarily by healthcare professionals is more focused on being very objective in nature. 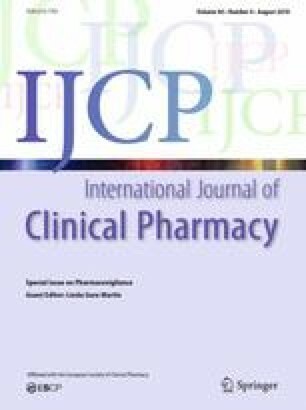 Acknowledging the importance of the subjective experience of patients in pharmacovigilance was underpinned by its unique ability to bring about a more holistic understanding through the deep information unraveled by the patients. Medication safety-related information has to be shared with patients to allow them to be actively involved in their therapy and pharmacovigilance. Despite the advantages of sharing information, it stands to reasons whether sharing information related to possible side effects would negatively affect patients and impinge upon their treatment plan and process. Aim of the Review The purpose of this systematic review was to critically assess the potential negative impact of informing patients about medication side effects by written and/or oral information on medication compliance, occurrence/development of suspected side effects and clinical outcomes. Method A comprehensive search was conducted in PubMed, and Cochrane library to identify potential records between the year 1975 and 2017; then titles, abstracts, and full texts were screened using the inclusion criteria to filter out irrelevant studies. The data extraction, and the results were narratively synthesized and presented in tables. Results A total of 2012 articles were screened for inclusion, 32 full-text articles were assessed for eligibility and finally resulting in the inclusion of 17 randomized control studies which met the set criteria. Findings unraveled that the educational intervention did not result in increased occurrence/reporting of side effects in most of the evaluated studies; except 4 studies, and no significant impact on compliance to medications and negative clinical outcome was observed. Apprehension of negative events to medications were observed in two of the four studies which evaluated these parameters. Conclusion The present review did not find enough evidence to support the over concerns on the potential negative impact of sharing of information on the adverse effects to patients, though the influence could manifest as nocebo-effect. The various components and methods employed for this information sharing process can influence the potential impact of this activity. These concerns about the undesirable effects should not deter the active involvement of patients in pharmacovigilance activities. There is a definite need to have more studies in this area, where much of concern still does exist among the various stakeholders of drug safety information. Authors would like to acknowledge the contribution of Hisn A’Shumookh library, Sultanate of Oman and Dr. James Stevenson, College of Pharmacy, University of Michigan in facilitating the access of many full text articles included in the review. Jimmy Jose and Lamia AlHajri declare that they have no conflict of interest. World Health Organization. The importance of pharmacovigilance. Safety monitoring of medicinal products. United Kingdom. 2002. http://apps.who.int/medicinedocs/pdf/s4893e/s4893e.pdf. Cited 30 Jan 2018. World Health Organization. Essential medicines and health products. http://www.who.int/medicines/areas/quality_safety/safety_efficacy/pharmvigi/en/. Cited 30 Jan 2018. Sottosanti L. Current roles of the patients in pharmacovigilance activities: regulatory perspective. http://congresso.sifweb.org/programma/abs/102.pdf. Cited 30 Jan 2018.
van Hunsel F. The contribution of direct patient reporting to pharmacovigilance. Dissertation on the Internet. Netherlands: University of Groningen. 2011. https://www.lareb.nl/media/3026/2011_4_thesis_patient_reporting.pdf. Cited 30 Jan 2018. Medscape CME/CE. Communicating drug risk to patients. 2008. https://www.medscape.org/viewarticle/581013_2. Cited 19 Jan 2018. National Collaborating Centre for Primary Care (UK). Medicines adherence: involving patients in decisions about prescribed medicines and supporting adherence. London: Royal College of General Practitioners (UK). Jan 2009. http://www.ncbi.nlm.nih.gov/books/NBK55440/. Cited 30 Jan 2018. Russel IF. How to inform patients about side effects of regional anesthesia and analgesia. http://www.finnanest.fi/files/l_russell_2.pdf. Cited 13 Feb 2018. General Medical Council. Good practice in prescribing and managing medicines and devices. London. 2013. https://www.gmc-uk.org/Prescribing_guidance.pdf_59055247.pdf. Cited 18 Feb 2018. Stuart K. 25 reasons people aren’t enrolling in your clinical trial. Oct 2015. http://www.imperialcrs.com/blog/2015/10/25-reasons-people-arent-enrolling-in-your-clinical-trial/. Cited 17 Feb 2018. Comprehensive Cancer Centres of Nevada. Common misconceptions about clinical research. https://www.cccnevada.com/clinical-research-misconceptions/. Cited 17 Feb 2018.